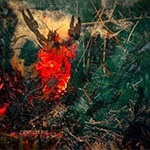 Colour Haze from München, Germany, has been one of the leading bands in the stoner/hard rock scene for a long time now. They seem like a band that can do what ever they want and how they want and always succeed in the end. You can hear the influence of the classic 60s/70s rock acts like Jimi Hendrix, Led Zeppelin, Black Sabbath and Cream to name a few, as well as the 90s desert/stoner rock boom (Kyuss etc.) 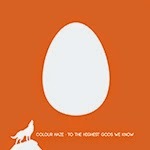 as well as more psychedelic and progressive elements, but Colour Haze always still sounds mostly like Colour Haze. One of the main factors in this band is the often very fuzzy, warm and full sounding guitar of the singer/guitarist/band leader/label boss Stefan Koglek, but he sure has a talented, tight and soulful rhythm section in Manfred Merwald and Philipp Rasthover. As always, To the Highest Gods We Know was recorded and mixed totally analogue with vintage equipment and you can hear that in the sound. Bass player Rasthofer also plays Hammond M3 on one track, which is great. This time the band also has a Modern String Quartet questing as well as flute and horn players! I told you they can do anything... 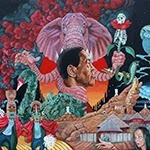 The album begins with "Circles" that is a cool, heavy and meditative tune that starts off slowly and with emotion and really gets heavy half way at around the four-minute marker. Excellent, classic Colour Haze stuff! "Paradise" is a groovier and shorter piece bringing to mind Hendrix, although Stefan's playing style and sound is rather different, and the great vocals are closer to Cream. A great, honest and simple rock song. The instrumental "Überall" is the second over eight-minute track and begins in a tranquil, relaxed mood. The faster rocking begins after two minutes, and I'm reminded of Motorpsycho. Some great guitar playing on this one! Also "Call" lasts for over eight minutes and this is the song that also has organ on it. The drums only join the game for the last two minutes, so you have some time to relax and take a deep breath. On the long, instrumental title track the band has a brand new approach... The main instrument for most of the track is acoustic guitar. The beginning is very minimal, but the track starts to grow gradually, and more instrumentation is added. This doesn't exactly sound like anything I've heard before, sort of like modern classic music mixed into the good old folk/blues music. There are also some Oriental vibes, and some parts remind me of Led Zeppelin in their acoustic/orchestrated mode. You might need to listen to this a few times before you get it since this is not easy listening stuff, but I find this track rather interesting. The short and calming "The Last Call" outro finishes off the album with just some organ drone and beautiful vocals with a message. Very nice! I'm sure the fans will love this adventurous new album. nick nicely (yes, written like that without the caps...) is a cult psych rock/synth pop/shoegaze/electro artist from London who first released a couple of magical, ethereal 7" singles in the 80s before disappearing for decades. In 2003 he made a small comeback when an excellent compilation album called Psychotropia was released. That's when I found the guy and fell in love with his music. It still took years before any new music was released, but in 2011 an album called Lysergia finally saw the light of day as a highly limited cassette release, and another compilation Elegant Daze: 1979-1986 was also released, both in the US. In 2012 nick also did a remake of his haunting "Hilly Fields" single (originally from 1982) for Fruits de Mer Records and his track "Rosemary's Eyes" was included on their A League of Psychedelic Gentlemen EP. The following year, a track "Wrottersley Road" from Lysergia was put out on a 12" on Emotional Response / All Time Low also including three remixes. Space of a Second released late last year is in effect pretty much the same as Lysergia, since both albums include about 90% same songs, although in different order, and there are some changes made in the songs as well, so even if you were lucky enough to get one of the 300 tapes, this very cool vinyl release is a must of you like nick's music. Since I have already reviewed Lysergia, I won't go through all the songs here. Let's just say that nick has the ability to write dreamy, beautiful, emotional and fragile songs that also have the experimental, mind-altering and plain weird elements that make music interesting for me. You can easily spend a lazy afternoon in a pleasant, psychedelic haze listening to this album. Some of the tracks are more droney, ambient and atmospheric using lots of sound effects, studio manipulation and even field-recordings, but there is also a lot of melody and "normal" songs structures on the album and nick's soft, dreamy vocals are spot on. A melancholic, beautiful song called "Rrainbow" is a new addition, and I love it. An acoustic version of "Hilly Fields" is also added; I think this is pretty much the same version that was already used on the B side of FdM Hilly Fields single. Wonderful. My favourites possibly still are the 80s New Wave / Synth Pop styled "Headwindaheadwind" and "Rosemary's Eyes". I really hope the nick will keep on recording and releasing new stuff since he has a style and musical universe of his own. Lotus Thief is an American duo playing an interesting mix of doom, black metal, ambient and post-rock, but there is other ingredients in the mix as well like space rock. The members also play in other projects like Botanist, The Night Falls and Ordo Obsidium, but I have never heard about those before either. To my knowledge, this is their debut album. Rervm was released already last year on three-sided double vinyl, but like often happens to me, the digital promo was laying forgotten on my hard disk until now. There are two long tracks on all the three sides (one side has an etched lotus). The music is quite varied but always atmospheric and I like the female vocals. The high-light track for me is perhaps "Discere Credas" that varies in between fast, rocking parts and slow parts. Space metal, maybe? Fans of Katatonia and other doomy, atmospheric and melodic metal might like this album a lot so check it out. Only 500 copies on two different colours. Cranium Pie is one of the most important band's that I've discovered through Fruits de Mer / Regal Crabomophone. Their first full length LP Mechanisms Part 1 was released in 2011 and I have loved it ever since. The same goes for their second album The Geometry of Thistles released in 2012 but actually including material recorded before the Mechanics Part 1 sessions. A perfect companion to a mushroom trip? All the singles and compilation tracks are excellent too... It's no wonder they have been featured on two A Monstrous Psychedelic Bubble compilations as well. Their sound is a perfect update on the classic early 70s prog/psych/Canterbury scene vibe and they also have a wicked sense of humor. "Bonkers prog rock" is a a rather suitable description... ´They have been compared to old bands like Soft Machine, Van der Graaf Generator, Nektar, The Nice and Caravan, and personally I can also hear a lot of Pink Floyd in their music, but they have still upgraded that old school sound to modern times a bit which is great. The new album will be released on double album in March. Each four sides will have around 19 minutes of music. On the promo CD-R I had there are no song titles, and the whole album is divided just into those four sides, although there are obviously different sections on all sides. The album starts off in a mellow, slow and Pink Floydish mood, with a steady rhythm section, very nice organ work and some weird, psychy sound effects. Soon some spoken word is added to a great effect, and the music starts to grow. Then there's a bit groovier, more melodic section with vocals, and then we get some more orchestration, with Mellotron I bet, and more progressive parts and hypnotic jams, and some, bluesy, early Colosseum vibes next. I love it already and we're still on side one! Side two begins in a soulful mode including some trippy flute and Brainticket sounds. At around the three-minute-marker there is a beautiful, short vocal section, before all the weirdness steps back in. Then there's some groovy, Can-like jamming, and strange guitar and organ solos, then they jump straight into a Jimmy Hendrix trip for a short while, and then there's a really odd, VdGG styled, progressive section that's pretty hard to explain... Phew! The rest of side two is more laid-back, organ-driven and moody again. Side three kicks off in a totally bonkers way including some of the most far-out vocal effects I've ever heard. Then there's a really cool guitar solo section, and the weirdness continues, before things cool down towards the end of the side. The vocals at the end remind me of early 70s Genesis, and there is also some pretty acoustic guitar in there. The last part begins with a Soft Machine styled, jazzy and soulful jamming, and then we get some peaceful vocals. Then it's time to freak out some more, I think I'm loosing my mind... I love the spoken word part in here. The ending is a great, pompous finale for this insane sci-fi crab opera... Get this superb album and be amazed! This Danish/Swedish improvisational psych/space collective keeps on releasing a steady flow of high-class jam albums and why not. Music for Pogonologists is the band's 15th studio album and was recorded already in 2012. The line-up also features an American guitarist Daniel Lars as well as members of Danish band Paper. This time the album (sort of) has a theme: a pogonologist is a persom who studies beards! The track titles, amazing cover art and a spoken word intro to "Beardlandia" were all inspired by writings of Upton Uxbridge Underwood (1881-1937), who was the world's most renown Pogonologist. Believe or not... A cool idea for a band with a lot of beard, anyway! The 2CD and 2LP versions of the album differ quite a lot having some totally different tracks, different edits and so on. So if you want to have all the music you have to buy them both which I warmly recommend! An the monet I don't have the brand-new vinyl version yet, so my review is based on the double CD that was put out late last year. "Beardlandia"starts off the album with some ambient space sounds and a narration about Mr. Underwood's weird theories about beards. Cool! After two minutes the jam begins in a rather heavy and groovy, progressive way. Great! Things get spacier along the way. 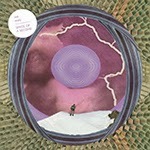 CD-only track "Ziggurat of the Beards" is a bit more experimental piece, and sort of doesn't really go anywhere, but it also has some great guitar and synth stuff. "The Trichophantic Spire" is another CD-only piece and a bit shorter at 6:10 (all the other tracks are in the range of 11:28 and 33:26...). This is a easier, softer stuff and Mogen's synth work is more important here than the guitars. "Bearded Brothers" (also only on CD) has a nice, airy flow and groove like a lot of the Paper tracks and I like it a lot. The first CD finishes with the 26-minute "Remnants of the Barbonaeum" that begins in a very minimal, spacey manner, and stays rather peaceful and floating. A great, uplifting jam to get spaced out with! The second CD starts off with the full version (33:26) of the title track "Music for Pogonologists". The vinyl version has a nine minutes shorter edit. It starts out slowly, but then we get some great early 70s styled hard/prog rock guitars and a nice groove. There is a nice, more relaxed blues vibe in the middle, and in the end the track gets more intense and psyched-up. Very nice! "Barboconsciousness" is another long improvisation, but this one has a cool, mystical and mysterious vibe. There must be some magic in the beards! 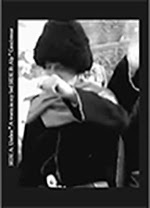 "Portal of Pogonic Progress" (CD-only) ends the album in a easy, tranquil mood although the very end gets a bit more intense. 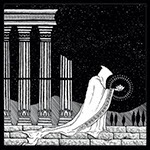 Another great album by OSC, can't wait to hear the vinyl-only tracks as well! The CD is limited to 500 copies like the vinyl, but there are three differently coloured vinyl editions. 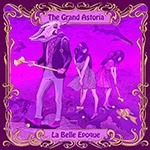 The Grand Astoria from St. Petersburg, Russia, has been busy again and here's their latest album. It was first available only on CD and in digital format, but vinyl is also now available (!). The band leader/singer/guitarist/songwriter Kamille Sharapodinov is this time joined by Igor Suvorov (lead guitar), Danila Danilov (vocals, flutes, keyboards, metallophone), Vladimir Zinoviev (drums), Eugene Korolkov (bass), as well as some guests. Sophia Miroedova did the illustrations and Alexander Karelin is responsible for the crystal clear sound. As usual, Kamille takes inspiration from everywhere in between heavy metal, blues, folk, stoner/fuzz rock, grunge, progressive, psych and more mainstream rock and pop. The album starts off with the 3-minute, energetic and catchy fuzz rocker "Henry's Got a Gun". Then they go into more folk/Americana moods with the pretty "The Answer" that also includes for example banjo. Things do get heavier along the way, though. Love is the answer! One of the highlights for me. The title track "La Belle Epoque" even at first brings to mind the pretty, peaceful sections of Yes. Great vocals! The instrumental end part is rather psychedelic and hypnotic. "Gravity Bong" will appeal to the 70s / retro hard rock / stoner fans I'm sure and has a great, moody guitar solo part. "Serpent and the Garden of Eden" is the longest track on the CD at over 14 minutes. It starts off in a rather heavy and dark manner and gets more progressive with lots of different stuff. At one point I'm reminds me of Kingston Wall, but there's also some modern prog metal elements (Tool etc.). This is the magnus opus of the album! "Lisbon Fuzzborn" is at first heavy blues/rock 'n' roll, but changes into a nice The Who/Free styled rocking after four minutes and the vocals join in. The album is finished with the beautiful, mellow and short "Charming". This is possibly the band's best album so far, check it out! 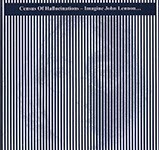 This is a new 30-minute EP by UK based psych/prog/space/ambient act Census of Hallucinations. This is a rather exceptional release even for this band led by guitarist/singer/songwriter Tim Jones with his partner Terri~B. You can take this as a one long song divided into four parts ("Part 1: In Ruins", "Part 2: Conspiracy of Silence", "Part 3: Faculty of Mirrors and "Part 4: He Who Can Manage Camels"). On this release Tim doesn't even play anything, just does the often very narrative vocals. Terri~B does the wonderful female backing vocals with Maxine Marten. Kevin Hodge plays a lot of acoustic guitar. The highly talented John Simms (Clear Blue Sky) plays electric guitar, guitar synth, keyboards and also sings backing vocals. 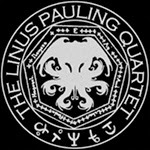 Mark Dunn plays bass & cello, Paddi drums & percussion, Barry Lamp sax, synth & Mellotron on the first part. In addition, James Jones narrates his poem "Lost in the Lakes". The music is very tranquil, floating, spacey, dreamy, emotional and ambient with a nice, soft psychedelic vibe. I guess Pink Floyd fans will love this. The thoughtful, even philosophical lyrics and the whole concept seems to be very important on this CD-R. The press releases tells us that these four parts are "an exploration into the self; a hard look at how or why we fit into this current expression of humanity. It explores subjects such as old age, holidays, the breaking of hearts, the absence of light, the lack of love, the realization of what love is and what infatuation is." Imagine John Lennon is Part 1 of a planned two-part CD, so we can except some more of this later in 2015. Great! 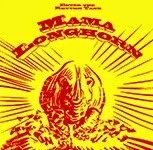 Mama Longhorn is a new, groovy Afrobeat/funk group from Pori, Finland. They have one guy from Guinea on vocals and percussion, the rest are seasoned musicians from the Pori area. The album was recorded in total analogue manner and sounds very fresh and organic with lots of percussion, male and female vocals, psychedelic electric guitar, electric piano, organ, very cool bass lines and even some kantele. I'm somehow reminded of Goat, but this is not really that psyhedelic or fuzz rock and sometimes much more jazzy ("Chrome on Chrome Love Affair", "Mueller"). There are nine original songs on the CD and LP, and I seem to prefer the ones that have Faouzy Fawaz on vocals (like the opener "One Day") , since his African style vocals somehow give the tracks more authenticity. I still also like the female vocals by Eeva Poijärvi, as well. I also really enjoy the three tracks that sort of bring to mind the hypnotic jams of krautrock legens Can (who of course also were inspired by African rhythm music so no wonder) , namely "Susu Song", "Ahura" and the last, instrumental and a bit more experimental piece "Eagles of Ivory Coast" that also sounds a bit like some of The Hypnomen tracks. All in all, this is very nice album of groovy, warm-sounding funky rhythm music with some psychedelic overtones so check it out if you are into that kind of music!